Well, the balmy days of last Christmas (when, a few days before the holiday, we saw highs in the 80s!) certainly seem but a distant memory. The weather report for today indicates a high of 42 degrees and an expected overnight low of 29. Plus we’ve got a touch of wind chill to make things feel about 10 degrees colder. Brrr! It’s hard to believe that nearly three-quarters of the days last month saw warmer than average temperatures. Tong loved her fruit kebab, including the pasta “skewer.” She would even eat the bits of pasta dropped by her companion Gibby. 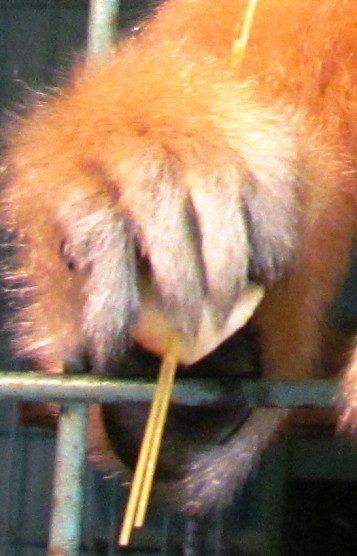 I’m sure we’ll see some more cold weather yet before springtime, and on days like these it takes the sting out of confinement to give our gibbons a special enrichment treat. 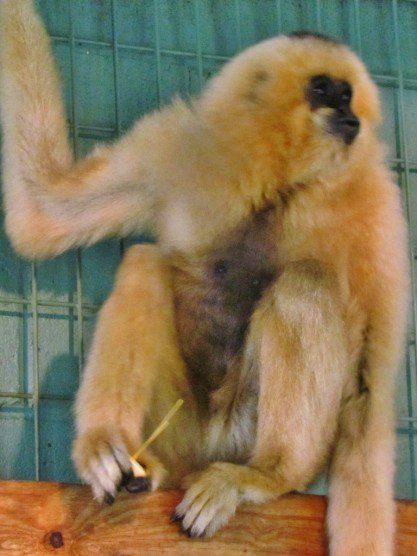 Today our animal caregivers Samantha and Rachel presented some of our gibbons with kebabs made of pasta and fruit. They took bits of kiwi, pears, and pineapple and skewered them on pieces of (uncooked!) angel hair pasta. 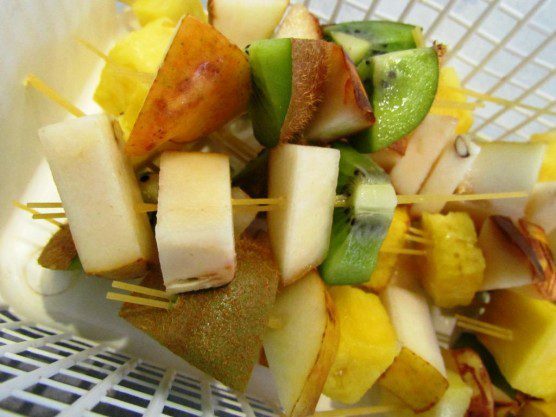 Our fruit kebabs included bits of kiwi, pear, and pineapple skewered onto pieces of uncooked angel hair pasta. The fruit kebabs were a hit! 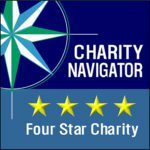 “Michael was bouncing off the walls with excitement, and Glenda was so into it she wouldn’t back away far enough to let us get a good picture of her,” Samantha reported. Tong was swinging around her indoor enclosure with excitement and eating her kebab from her foot!